Delicata Squash. Photo Credit Jessica Reilley. ‘Tis the season for squash! 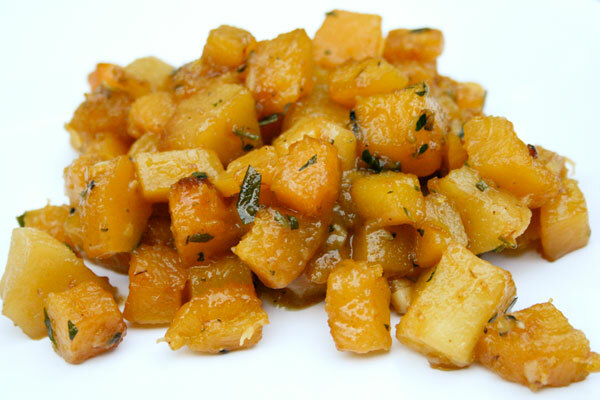 Try this savory dish with delicata squash (also known as sweet potato squash), apples, and thyme. Melt butter in a large skillet over medium-high heat. Add garlic and sauté for 1 minute. Add squash and sauté for about 5-7 minutes, stirring occasionally, until lightly browned on all sides. Add apple, thyme, brown sugar, and nutmeg and stir well. Sauté for about 3-5 minutes, or until apples start to soften. Deglaze pan with chicken broth and cover. Simmer for 2-3 minutes, or until squash is easily pierced with a fork. Remove lid and continue to simmer until most of the liquid is absorbed, about 2 additional minutes. Bio: Jessica Reilley is a Penn State grad with a passion for food, cooking, and photography. For three years, she owned a personal chef business before taking a break to spend more time with her family and young son. Jessica lives in Gilbertsville, Pa.